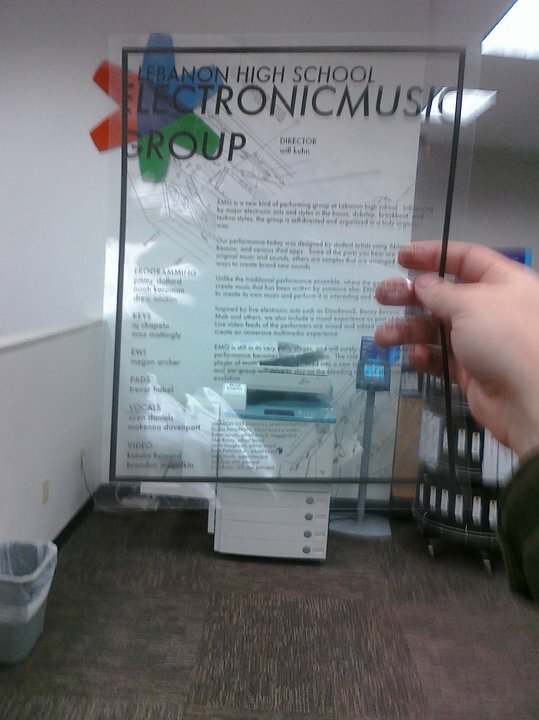 The Electronic Music Group is an interesting experiment that I feel is truly on the cutting edge of electronic music in the schools. It goes beyond project-based individual learning, and allows those projects to come to life with real time performance methods. Plus it’s fun. Here’s a video of the kids rocking out at OMEA/TI:ME national 2011 in the hallway outside the technology area. 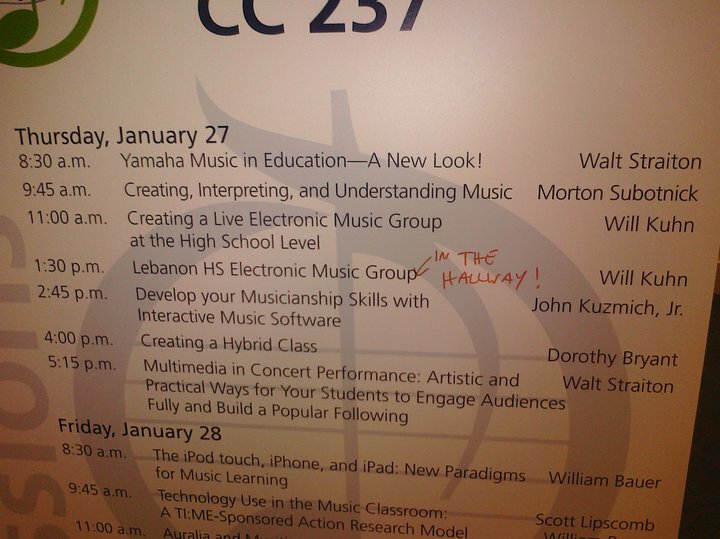 Anyway, thanks to OMEA, TI:ME and eTech Ohio for having us perform at these conventions. We hope to do an even crazier show next year. Previous Previous post: How Many CD’s vs. Downloads to Make Minimum Wage? Next Next post: Hold It.